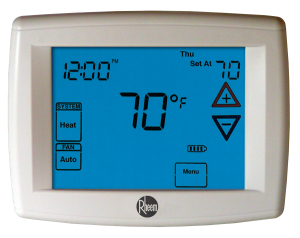 Rheem offers a line of thermostats and controls to meet the needs and budgets of today’s homeowners and business owners. These products provide a complete system solution from one brand – Rheem. 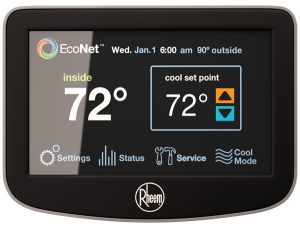 From our programmable thermostats that can save up to 30% on heating and cooling costs to the revolutionary EcoNetTM Control Center that allows easy control of the home’s highest energy consuming systems – heating, cooling and water heating. 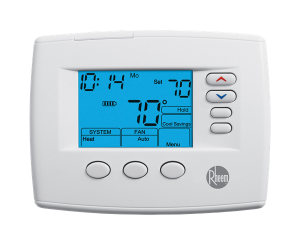 Plus, all Rheem thermostats and controls are backed by a 5-year limited warranty.